What is the Green New Deal — and why do Americans seem so obsessed with it? It's an economic blueprint to save the planet from climate catastrophe. It's an enviro-socialist nightmare that will take away Americans' burgers. Exaggerations abound about the Green New Deal. Here's what you need to know about what the ambitious plan actually says. An economic blueprint to save the planet from climate catastrophe. A moonshot mission to shift the U.S. power grid to 100 per cent renewable energy within 10 years. A hippy-dippy socialist plot to seize Americans' hamburgers. Opinions and exaggerations abound when it comes to the Green New Deal. Progressives are split over whether to embrace or dismiss the roadmap. Republicans are gleefully seizing on it to paint Democrats as "nutty" idealists, with Senate Republicans looking to force a vote on it to expose cracks within the Democratic caucus. If you only have a passing familiarity with the Green New Deal's details, though, count yourself in good company. Not even Democratic Speaker of the House Nancy Pelosi seemed to know what it puts forward. Asked by Politico last month if a committee on the climate crisis would discuss the plan's merits, Pelosi sounded downright flippant. "It will be one of several, or maybe many, suggestions that we receive. The 'green dream' or whatever they call it. Nobody knows what it is, but they're for it, right?" The thing is, the Green New Deal is getting attention. Democratic presidential candidates for 2020 are staking positions on it. 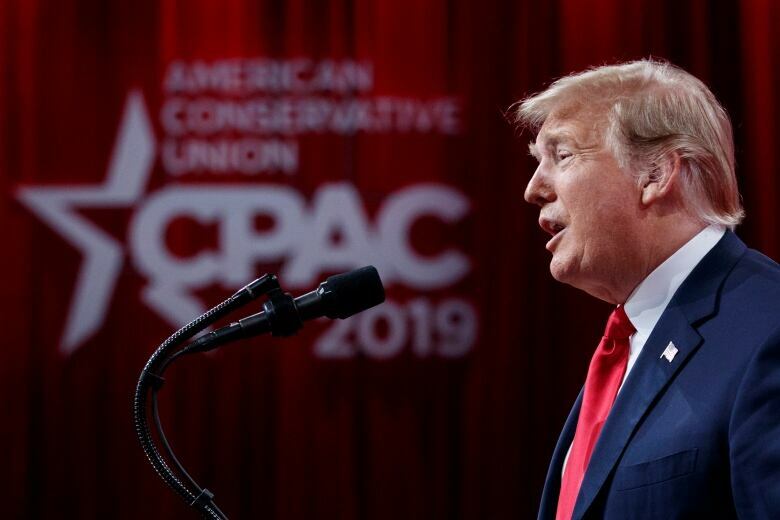 And at last week's Conservative Political Action Conference (CPAC), in which warnings about socialism emerged as a key theme, the Green New Deal was assailed as an arch-liberal plot. Like it or not, it has thrust climate change into the national conversation in the U.S.
What does the Green New Deal propose? Big picture, it aims to achieve net-zero greenhouse gas emissions and wean the U.S. off fossil fuels, though it stops short of calling for the all-out elimination of fossil fuels. It aims to fix what the text of a 14-page resolution calls "systemic injustices" — deeply entrenched conditions that disproportionately affect low-income communities, people of colour, women, the elderly and people with disabilities. 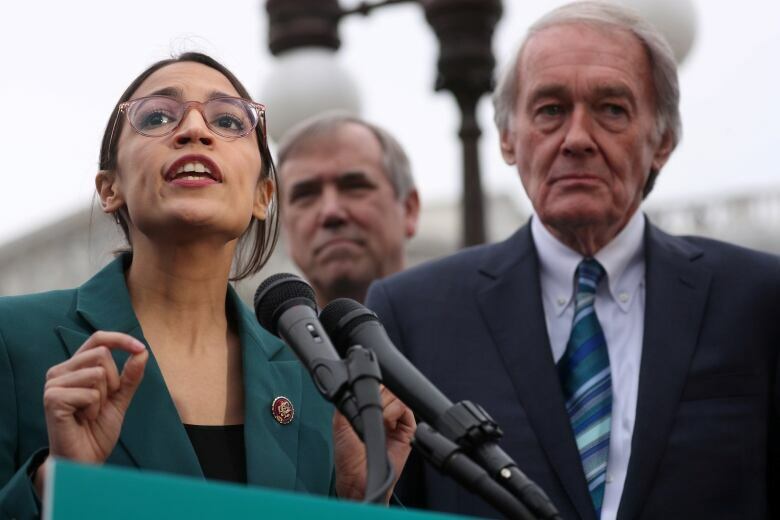 The economic stimulus plan is co-sponsored by two Democrats: The social media savvy New York congressional freshman Rep. Alexandria Ocasio-Cortez and Massachusetts Sen. Ed Markey. While it would rework the entire U.S. economy to meet the threat of climate change, hammering out the finer points remains a work in progress. Converting all of U.S. power demand to renewable energy. Investing heavily in programs for clean-energy jobs and technologies. Supporting sustainable farming practices to eliminate pollution "as much as is technologically feasible." Upgrading or replacing every building for efficiency. Overhauling transportation with high-speed rail to "a scale where air travel stops becoming necessary." And creating a national "smart" grid that would increase energy efficiency. A Green New Deal would bring universal "high-quality health care" to all Americans. It calls for a guaranteed job "with a family-sustaining wage" to anyone, as well as tuition-free public education. In addition, it would clean up environmentally hazardous areas that have been shown to disproportionately affect communities of colour and low-income families. There's a lot of interest. Progressive Democrats, especially millennials, see a bold vision; Republicans see a political vulnerability they can exploit if it means pitting Democrats against one other. At least six Democratic presidential candidates for the 2020 nomination have endorsed it: Senators Cory Booker, Kirsten Gillibrand, Kamala Harris, Elizabeth Warren, Amy Klobuchar and Bernie Sanders. Polls show young people favour drastic action to tackle climate change. And online queries for "Green New Deal" have exploded on Google Trends. But it has its Democratic naysayers. An exchange between six-time California Sen. Dianne Feinstein and a group of schoolchildren drew mockery when Feinstein chided the young activists about their demands to support the Green New Deal. "I know what I'm doing," Feinstein told the group. Even some scientists supporting the deal's broad vision believe it's a leap to achieve net-zero carbon emissions within 10 years. Why the urgent 10-year timeline? Proponents of the Green New Deal cite last year's landmark report from the Intergovernmental Panel on Climate Change. United Nations scientists say that unless carbon emissions can be brought under control and curbed within roughly a decade, global climate catastrophe will become inevitable. And they argue the U.S. could take a lead now, as the world's second-largest emitter of carbon dioxide, before the world undergoes a warming of 1.5 C. That's enough to have a transformative effect on human civilization. How are critics attacking the plan? Mostly by warning it's wacky and impractical. 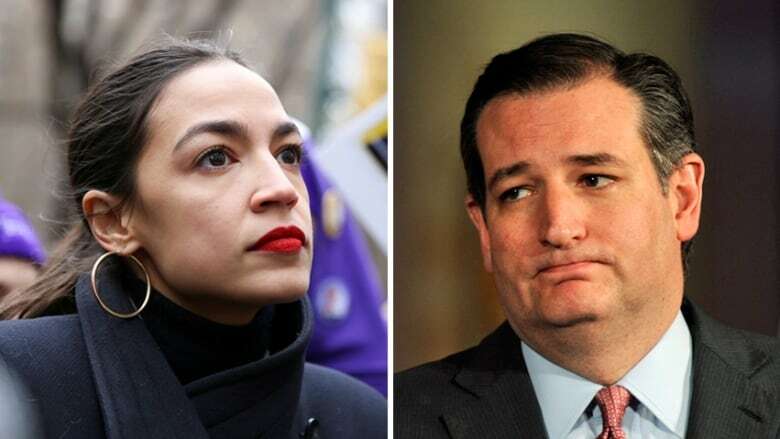 Attacks have focused on what appeared to be lighthearted musings in a draft summary — a document that carries no weight and has been scrubbed from Ocasio-Cortez's website. For example, a throwaway line in the since-deleted document refers to eliminating "farting cows" that spew methane. Wyoming Republican Sen. John Barrasso took that to mean the end of livestock, claiming on the Senate floor that "ice cream" would become "another victim of the Green New Deal." "Say goodbye to dairy, to beef, to family farms, to ranches," Barrasso charged. Trump's chief economic adviser, Larry Kudlow, warned last week that "the Green New Deal will literally destroy the economy." And the House Republican Conference has slammed the resolution as "a Trojan horse for socialism," with the American Action Forum, a Washington think-tank known for advocating for centre-right policies, projecting the plan could cost $93 trillion US over 10 years. That, as critics have noted ruefully, is a lot of green. Can the U.S. afford it? Ocasio-Cortez raised eyebrows in January when she floated an income tax rate as high as 70 per cent for the "tippy-top" richest Americans. That's not actually unheard of. The top U.S. federal tax rate never dipped below 70 per cent during the 1950s to the '70s. In her example, offered during a 60 Minutes interview, Ocasio-Cortez suggested that the extremely wealthy might begin to be taxed at that high a rate "on your 10 millionth dollar." The rest of the income under $10 million US would still be taxed at the normal lower rate. A tax analysis by the Washington Post found that over a decade, that theoretical 70-per-cent tax bracket for people earning $10 million or more a year would add $720 billion in tax revenue in a decade. Mark Z. Jacobson led a Stanford University research team that developed plans to transition each of the 50 states to 100 per cent wind, water and solar in all energy sectors. In an interview, he said "it's technically and economically feasible" to get to nearly 100 per cent renewable energy for all purposes in the U.S. by 2030. "You really want to know what's the cost of the system versus the fossil fuel system," he said. "To do that, you have to account for the fuel cost over time. And in the case of renewables, there's no fuel cost." 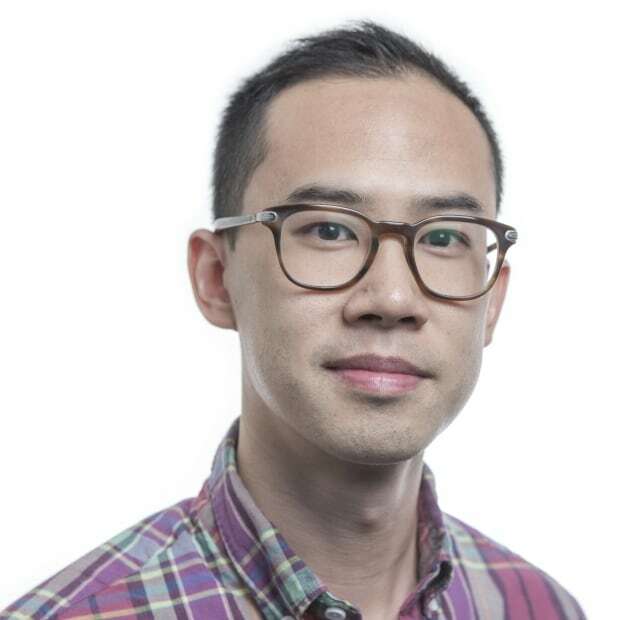 By his number-crunching, transitioning to net zero-carbon energy systems would mean an upfront capital cost of $9.5 trillion (one-tenth of the American Action Forum's projections). But a new clean power system would be cheaper and use half the energy as a fossil fuel system in the long run. He estimates consumer cost savings, as well as air pollution and climate benefits, would total $4.9 trillion annually. Plus the upfront cost could pay itself off over time from electricity sales. In other words, Jacobson believes, critics of the Green New Deal have it backward. "Not transitioning to a clean energy system is unaffordable and uneconomical," he said. When will a vote happen? Republican Senate Majority Leader Mitch McConnell has been watching this debate with "great interest," as he put it, unable to suppress a smirk as he announced his plan to put the matter to a Senate vote. Doing so would force progressive senators to go on the record as either supporting or opposing a plan that conservative critics believe is absurd. It's a chance to expose divisions between Democrats. So far no vote is scheduled, but it will probably happen before the August recess. Pundits are highly skeptical it will survive a vote in Congress. Then why bother talking about it? It might be smart politics. 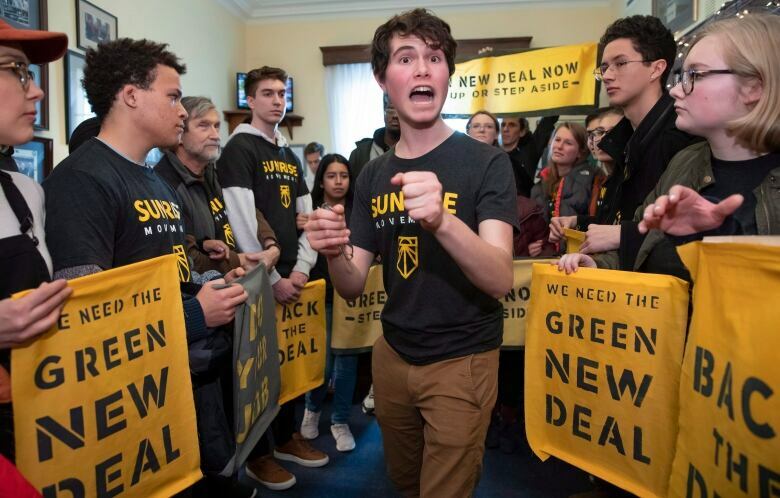 One common criticism is that the Green New Deal is more of a brand than it is a plan. To Ocasio-Cortez's credit, simply bringing it up has arguably shifted the so-called "Overton Window." That's the concept that by widening the aperture of discourse, one can make once-intolerable political ideas look a lot less fringy. Ocasio-Cortez likely knows this. She addressed the plan's haters at an event in New York. "I just introduced the Green New Deal two weeks ago and it's creating all this conversation," she said in an interview with Reshma Saujani, the founder and CEO of Girls Who Code. "Why? Because no one else has even tried." The proposal may not address every detail, she conceded, but there's something to be said for merely trying. "Until you do it, I'm the boss," she said, firing back at critics. "How 'bout that?"